MacPhun has announced a new version of its innovative photo-editing application Luminar. Called Luminar 2018, it’s available for pre-order in both Mac and PC versions, and brings new filters, RAW editing tools, lens distortion and perspective correction, LUT support (look up tables for colour adjustments) and, coming in 2018, a new digital asset management system (DAM) which will let Luminar organise your images as well as edit them. 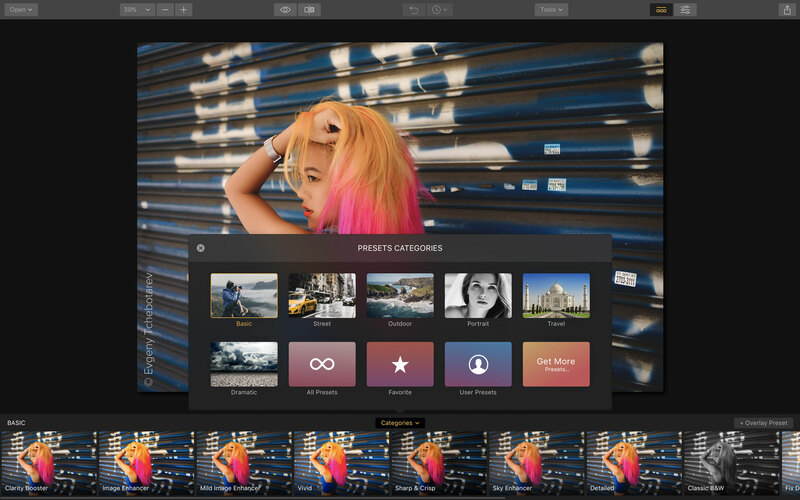 Luminar is designed to simplify complicated photo editing tasks, but with the new organising tools coming in next year, MacPhun also wants to take on Lightroom. 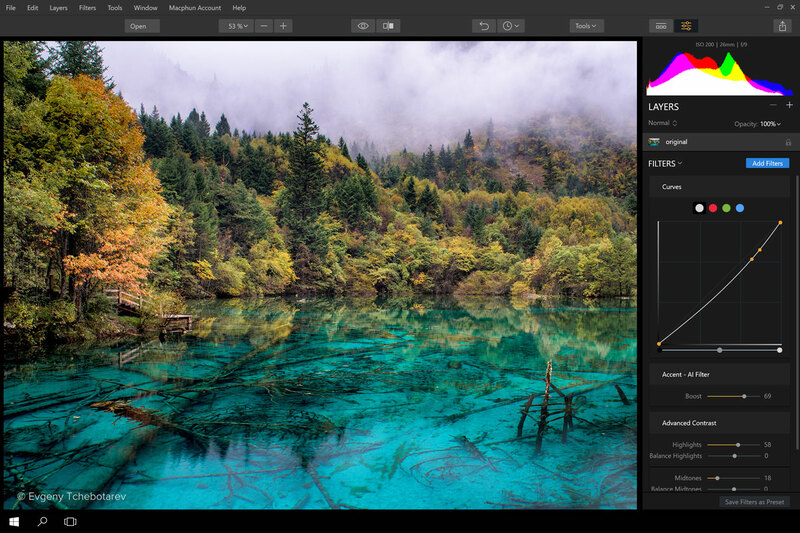 The PC version of Luminar will not immediately have all the features of the Mac version, but MacPhun says these will follow shortly via free updates. The move into the Windows market has prompted the other big news from MacPhun – it’s changing its name to ‘Skylum’. This will happen gradually, so that the MacPhun name will continue to be used for the rest of this year but the name change will be completed at the start of 2018. MacPhun Luminar 2018 is available in a Windows version too. The company is in the process of changing its name to ‘Skylum’. Luminar takes a new and interesting approach to image editing. Adjustments are made using modular filters, which can be combined to create custom workspaces for particular kinds of photography, for example black and white, portrait or street photography. The idea is that you only see the filters you need to make your workspace is as clean and simple as possible. There are more than 40 of these image enhancement filters in total. 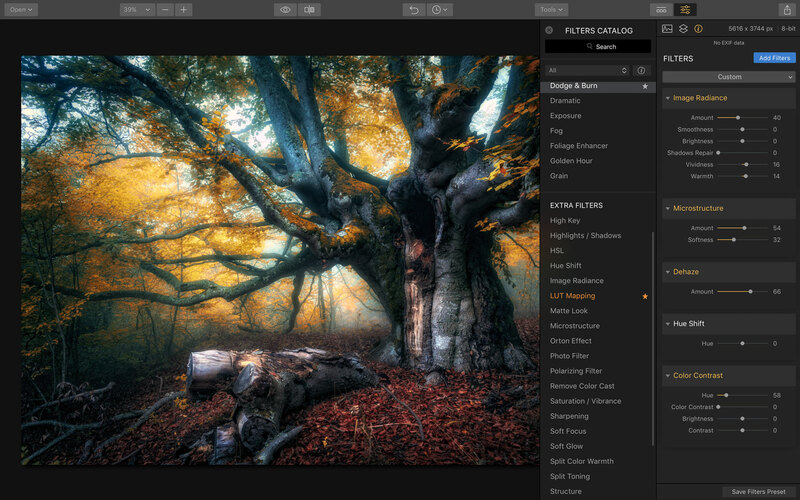 Luminar also offers one-click effects presets arranged into categories. These range from vintage effects, through black and white treatments to regular image enhancements. Each of these presets consists of a set of specific filters and settings. You can modify the settings once you’ve chosen a preset, create and save your own presets or download new preset packs from the MacPhun website. You can also combine images in layers to create composite images and merge them together using masks and blend modes, so Luminar is more than just a simple images effects and enhancement tool. You can create a wide range of image effects by combining Luminar filters. Luminar comes with one-click preset effects arranged into categories, and you can create and save your own. Luminar 2018 comes with a number of new filters, including a dedicated RAW Develop filter, a Sun Rays filter, Dodge and Burn filter, Matte filter and more. The RAW Develop filter is designed to be the first step in enhancing RAW images. The previous version of Luminar could edit RAW files directly too, but did not have tools designed solely for RAW image enhancements. The new Develop filter has additional Lens and Transform tabs for correcting lens aberrations and perspective issues respectively. Luminar 2018 does not offer automatic lens correction profiles, however, so you dial out distortion and chromatic aberration manually with sliders. The new LUT feature is interesting too. LUTs (look up tables) are a way of translating or ‘remapping’ colours and can be used to apply colour corrections or effects. MacPhun says Lightroom presets can be translated into LUTS for use in Luminar 2018 via a free third party tool. Other improvements in Luminar 2018 include real time noise removal, speed improvements thanks to a ground-up redesign and a new interface which is visibly cleaner and more professional-looking than its predecessor’s. 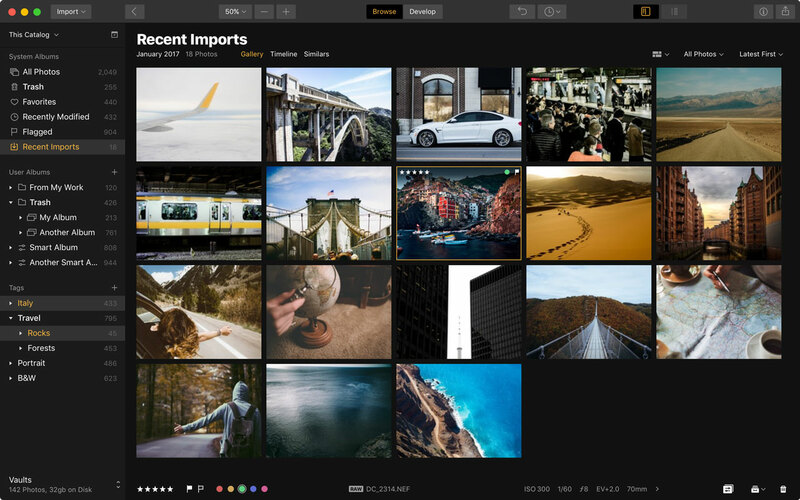 MacPhun (Skylum) will add a digital asset management system to Luminar in 2018, a free upgrade which will add the ability to organise and browse your images, not just edit them. Luminar 2018 will be available for pre-order between November 1 and November 16 2017 at a special price of $59, $39 for those upgrading from an earlier version and $49 for users who signed up to the Windows beta program. If you pre-order you’ll also get a pack of signature presets and tetures from pro photographer Nicolesy (Nicole S Young), an exclusive pack of LUTs and a 1-year SmugMug Power Plan worth $72 (new users only). At the end of the pre-order period, Luminar 2018 will go on sale at its regular price of $69 for new users, or $49 for those upgrading from an earlier version. I’m sorry for the inconveniences! Aurora HDR 2018 is our first app in the “Windows world”, however, we’re working really hard on Aurora HDR 2018 improvements. I’d encourage you to check out the trial version of Luminar 2018 once it is available on November 16 and see how it works for you. Once bitten, twice shy, to quote an old phrase Alina. Maybe some time down the line when all the problems are ironed out and there is no difference between MAC and Windows versions. I got caught out once before by another software house a few years back and vowed I wouldn’t let it happen to me again and then along came Aurora HDR 2018. I’m a bit confused between Luminar 2018 and Aurora 2018. I do shoot HDR photos often, but I hear that Aurora doesn’t have all the features that Luminar 2018 has. I find it silly to have to run two apps do get the job done. I wouldn’t mind paying $200 just to only deal with one app. Hi Captain Jack. Aurora HDR is just for HDR, whereas Luminar is designed for regular photography and not HDR. HDR is a specialised area and these two programs don’t really cross over. When you shoot HDR, do you merge a series of exposures? That’s when you need a program like Aurora HDR. If you just like creating an HDR effect from a single image you don’t need Aurora HDR and a regular photo editor like Luminar can handle that. Previous Previous post: Don’t be scared of high ISOs!